& budget on marketing channels that perform better. 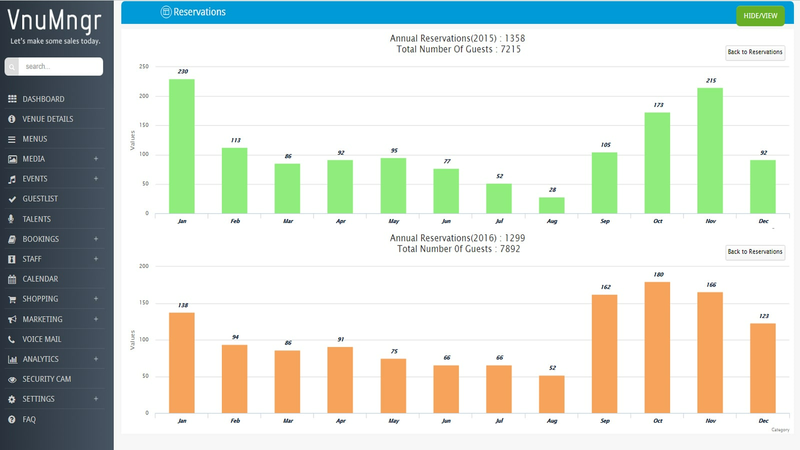 Compare annual, monthly or weekly reservations and online sales to previous years. Know which keywords that lead to your website from Google, Yahoo & Bing. Know which listing websites drive more traffic to your venue website. Know who is the top 100 corporate clients that are reviewing your website and reach out to them to offer exclusive deals. 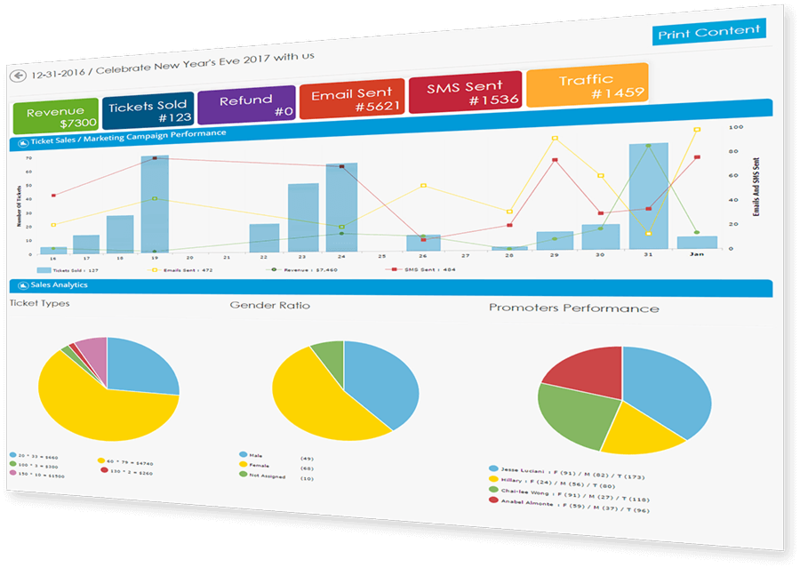 Keep track of your promoters performance and know who drive more sales. Ticket sales count, revenue, marketing ROI, Male / Female ratio per event.